Adorable! South facing and full of SUNNY, Spacious, bright 3-Bedroom 2-full Bath JUMBO condo for your growing family. Renovated Kitchen Granite Counter/White Appliances. True Laundry Room w/Front Load Washer/Dryer. Modern Fixture/Happy Color/Dark Wood Floor. Fantastic 137sf wrap-around COVERED balcony. 2 Parking & 1 Storage Locker. Well maintained building with 100% RAINSCREENED, newer Exterior/Roof/Windows/Doors and plenty of contingency fund. Walk to Blundell Shopping Mall (Starbucks/Safeway/Shoppers Drugmart/Kins Market/McDonalds). Kids walk to Ferries Elem/Richmond High Sec Schools. 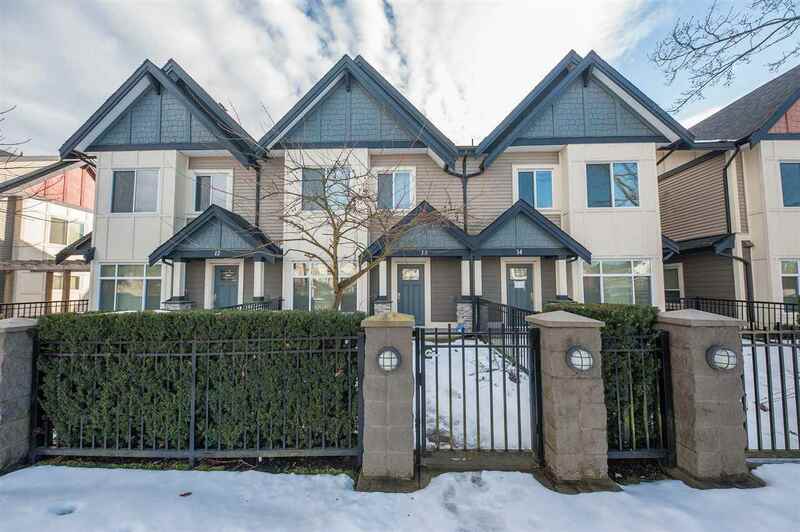 Easy stroll to Richmond Ctr Mall/Skytrain/Minoru Aquatic Ctr/Ice Rink/Park/Rmd Gen Hospital. Short drive to YVR/UBC/Vancouver. First Open Sat. Sun April 20 & 21 2-4 pm.